In 1986 we launched the UK's first 100% Recycled Paper Toilet Tissue, since then we've continued to develop the range. All ecoleaf paper products are made from 100% recycled fibre sourced exclusively within the UK. Manufactured from 60%+ post-consumer waste supply streams, collected by local authorities, kerb side collections and bona fide waste merchants. The remaining waste fibre is made up from UK manufacturers' waste such as printers' trim and greeting card manufacturers' waste. No chlorine-based chemistry is used in the production process. Sourced and then manufactured in the UK, every effort is made to maximise loads and minimise road miles. Bleach free. 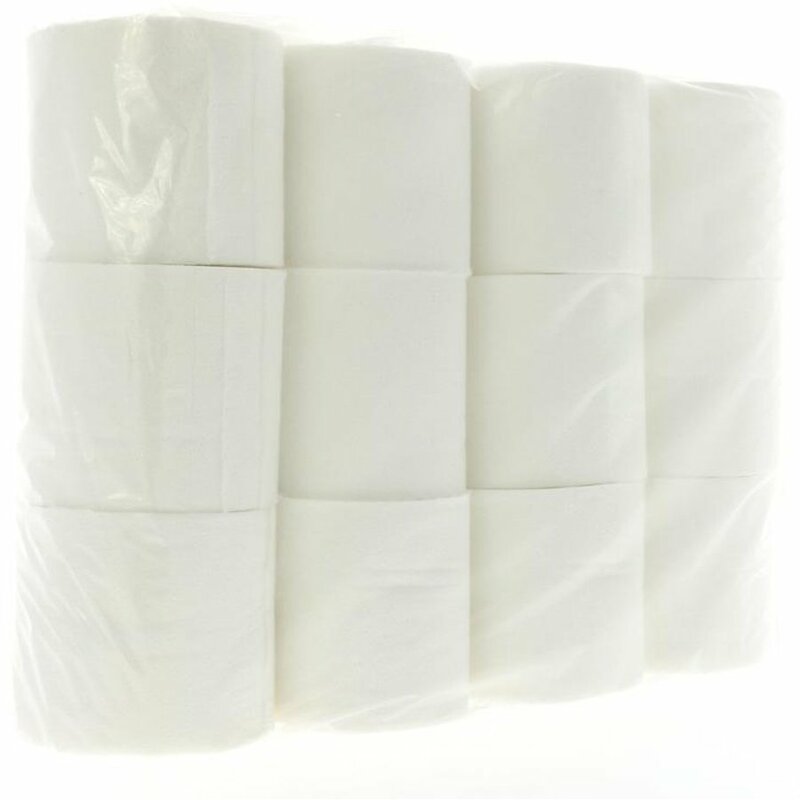 The outer wrap for the 12 pack toilet roll is LDPE 04 which is produced from recycled low density polyethelyne and is recyclable but not compostable. The Ecoleaf Recycled Toilet Tissue - Pack of 12 product ethics are indicated below. To learn more about these product ethics and to see related products, follow the links below. Have tried a few recycled toilet tissue brands and this has been the worst. Very thin and rough. Even worse, the big pack is wrapped in plastic! Won't be purchasing again. Love the recycled paper and the potato starch packaging of the smaller products. But very disappointed this particular product uses a plastic exterior, even if it is recycled. It’s a shame that this comes in plastic wrapping. Q: What is the price per 100 sheets for comparison purposes please?